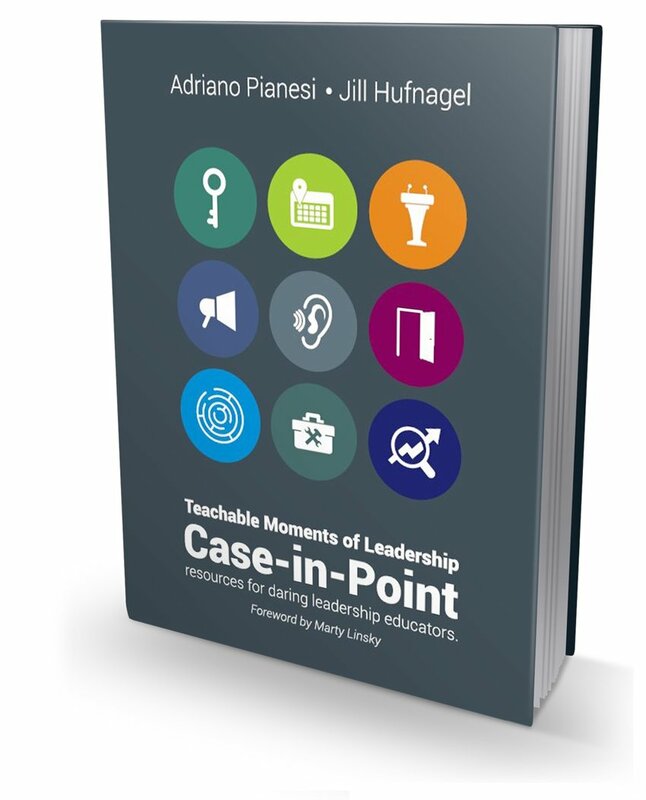 Looking to teach your leadership class using Case-in-Point but don’t know where to start? Want to bring some new experiential group activities into an existing course? Teachable Moments of Leadership is just for you. This ultimate guide contains all of the obvious and not-so-obvious best practices to use Case-in-Point for both the novice and the more experienced educator. Think of this guide as your key to get started in injecting a more experiential way of teaching in your classes with any skill set. Click below to purchase. And we are also a little intimidated. The first time we met, courtesy of a colleague who knew about our enthusiasm for Case-in-Point, we started to compare notes about how we had learned it and rejoiced in finally having found a kindred spirit, another passionate experimenter to bounce ideas back and forth and learn. As we connected we began to share video from classes where we were teaching using Case-in-Point. The intention and hope was to coach each other and learn from our mistakes, publicly exposed. We started with long emails, and lengthy phone calls providing each other observations about what worked, what would have been a better way to deal with certain situations, what was unclear, even suggesting alternatives or other possibilities for that same group dynamic. In so doing, we realized the great power of these exchanges and how much our own Case-in-Point practice had benefited from exposing it to each other in such an unabridged and painfully honest way. The result is a website where some of our great, bad and ugly Case-in-Point moments are mercilessly recorded. We entrust them to you with the warning that the most important chapter of this book is not yet written. It’s the one that you will write yourself… in your practice, creating teachable moments of leadership with Case-in-Point in your own classes! We’ve created this website because we’ve experienced the power of Case-in-Point, especially as it applies to the effective modeling of leadership in the classroom. Our hope here is not for you to replicate our approach but rather to find yourself and your own practice as you watch ours. We are passionate about this work and would love to help you join a growing number of daring leadership educators willing to use this approach for the sake of meaningful leadership development. The power in this practice is that both participants and facilitators have the opportunity to grow their leadership edge. In many ways, Case-in-Point is akin to learning a language. You would likely find learning the Spanish language and grammar relatively easy. The tougher work would likely be not so much learning Spanish per se but mastering other completely unpredictable skills like learning to simplify a phrase to minimize mistakes, learning to deal with your own sense of incompetence in public or learning to listen for new sounds. You would soon discover that—beyond your knowledge of Spanish grammar and vocabulary—the practice of those other skills (even if difficult and frustrating at first) is key to your success. As a result, you would be willing to stick with it until you become more adept at that tougher work. In short: your broader learning is a direct result of your willingness to suffer the pain of adopting a new and disorienting way of being in service of your purpose. Consequently, until the light goes on for you, you will need to remind yourself of the promise of this power when you find yourself wondering if the challenge of dealing with these unfamiliar or new perspectives is worth it.